Kensington Palace & co went balls-out on #RoyalWedding 3, an event aired on ITV (BBC passed) for the diehard royal fandom, at a reported $2.6 million expense to British taxpayers. They–or contingent advertisers or the tourism board or media or whatever–were determined that you will warm up to the idea of Princess Eugenie enough that you will purchase a Princess Eugenie and Mr. Jack Brooksbank official Royal Wedding commemorative cotton tea towel, and you will treasure it. But yeah, it worked, because it happened on Friday, and we’re still rehashing it. 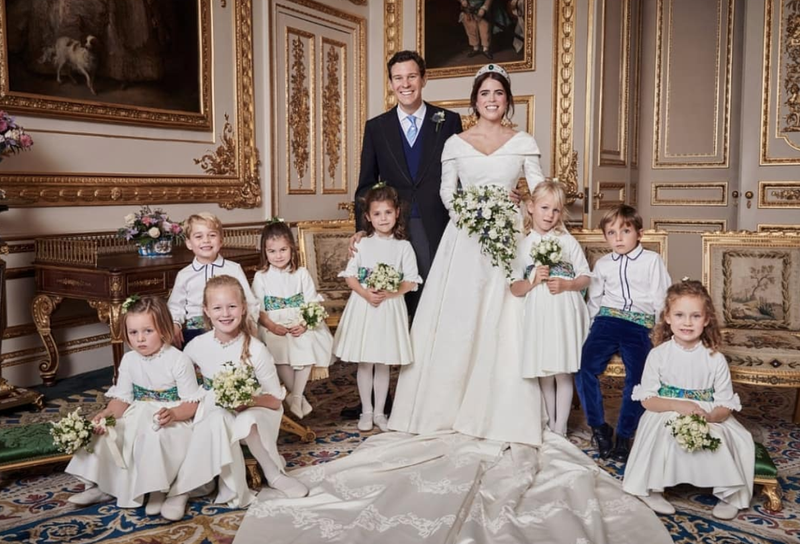 Anyway, aside from the adorable revelation that 3-year-old Charlotte crosses her legs like her mom, not even the most granular post-show recaps could drum up some excitement for this one, not even for Miss Mia Tindall, bottom far left, who is also not buying what they’re selling.